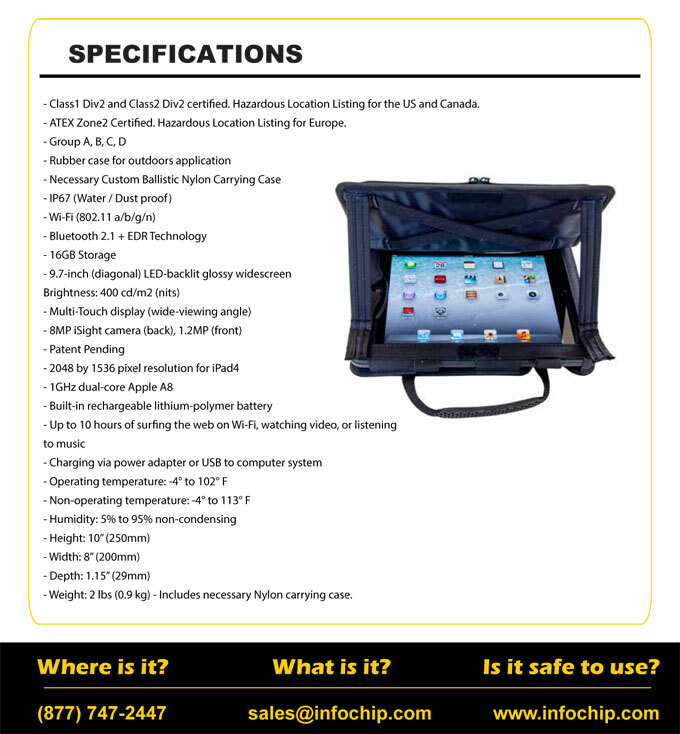 Designed to resist vibrations, shocks, dust and water in indoor and outdoor environments, this case allows you to take your iPad to places with sand, dust and water. The hazardous rugged iPa is Class1 Div2 certified, and the case made of Milled Aluminium is sealed to Nema 4. Surf the web for up to 10 hours nonstop, and you can add 3G or 4G as an option. This allows you to surf the web or check your email when not connected to an Wi-Fi network.